It is a very tourist friendly town, providing a much needed relief for Americans and Canadians in need of affordable dentistry. However, it gets overwhelming when you walk across the border, where you can be greeted by street “yellers” asking you “hey, do you need a dentist?” If you don’t know what you are doing, you can be led to a bad or unethical Mexico doctor who can ruin your teeth. Just like any place in the world, you can find good doctors. You just have to be a savvy consumer. So, how do you pick a good dentist? The key is to plan before you travel. Most people just find some provider with good web reviews off the internet, point their car to Yuma, AZ (US side of Algodones), and take the chance with some random dental clinic. With little preparation and information about your treatment, you can set yourself up for a dental disaster. Unless you just need some minor work such as one or two fillings or cleaning, you need to prepare first before you drive. Here are things to do before you visit a practitioner in Algodones. It sounds ironic, since Dayo Dental promotes people travelling to Mexico for inexpensive dentistry. However, Dayo’s top priority is to make sure each and every client has a successful experience when they travel to Mexico for dentistry. By having an opinion from your local area doctor, you can better evaluate if your Mexican dentist is being honest with his recommendations. If you have a background on how the dental procedure is performed, you can ask the right questions to your Mexican dentist about his technique and process. 1. Educate yourself regarding your dental case. The most important step to avoid becoming a horror story in dentistry is to educate yourself. Know which teeth need a root canal treatment or dental extraction. Understand how many porcelain crowns you need. Ask your American doctor what are the steps followed to complete your dental implant case. Check how many dental crowns are needed to balance your bite and avoid gum recession. Determine what steps are required to complete your implant dentures. 2. Compare cost. Hey, let’s face it, if the dental travel savings are not that big, why travel to Mexico? Give your US or Canadian provider a chance to give you a price quote. If you add up your travel and accommodation costs, plus the (opportunity) cost of missing work, the diminished savings may not justify going to Mexico. Of course, you have to be careful about cheap dentistry in your area. Sometimes, those cheap dentists that offer the lowest cost in town are struggling dentists who need clientele. You want the highest quality for your oral health. Call Dayo Dental to compare the cost of your treatment plan. Dayo not only provides affordable dentistry, we also choose ethical and high quality specialists in Mexico with proven track records of success in providing low cost dentistry to Americans and Canadians. 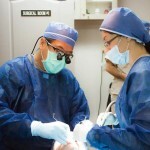 Do you know someone who’s been to Mexico for dentistry? Ask for their personal review or testimonial about their experience in Mexico. The key is to find someone who has had similar procedure. If you need surgery, you can’t just rely on someone’s referral to a practitioner that just performed a filling or a few dental caps. 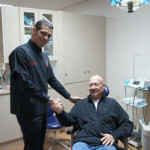 Finding an oral surgeon in Los Algodones is different from just finding a general dentist. Unfortunately, this is a common mistake. Some people travel abroad for major work, but end up having a general dentist perform their full mouth restoration or oral surgery. That’s how many dental horror stories begin. 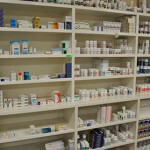 Travelling to south of the border can be one of the best bargains in dentistry. But first, put the brakes on to educate yourself about what you will be doing. In this way, you’ll walk the streets of Algodones with sureness and purpose. No one can take advantage of you with bad dental care. Call Dayo Dental at 877-987-3296 to find a reputable dental specialist in Los Algodones for your dental health. Speak to a Dayo Professional Advisor to get answers regarding costs, length of stay, and number of visits. This article is written by Dayo Dental to provide you general information about dentistry. 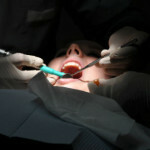 It is not intended to provide specific dental treatment advice about your case. Consult with your dentist for professional recommendations about your dental care.